Teresa M. “Terry” DeGracia (nee Courtright), age 71, of Lorain, passed away Wednesday, February 6, 2019 at MetroHealth Medical Center in Cleveland following a lengthy illness. Born April 21, 1947 in Sheffield Lake, she graduated from St. Mary High School in 1967 and received a Bachelor’s degree from Kent State University. Terry retired from the Lorain Public Library in 2010. Prior to this, she worked as a teacher at St. Mary Elementary School in Lorain. 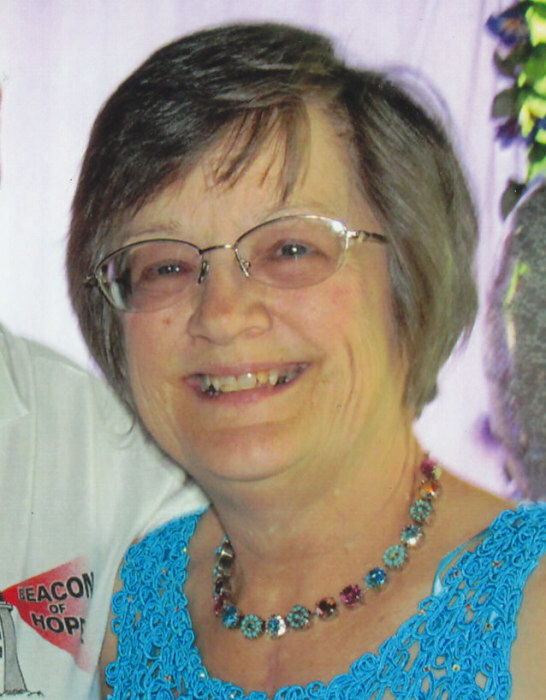 Terry was an active and devoted member of Sacred Heart Chapel in Lorain, where she belonged to the choir, Cursillo, baptism program, marriage encounter and helped develop and sing with the Joyful Hearts. Terry was a self-taught guitarist and woodworker and was learning to play the piano. Terry was a funny and feisty person who loved fiercely, sang with joy and enjoyed going on adventures. She suffered much in her lifetime but was resilient and strong. Terry loved family and friends, her roses and yard, music and her beloved guitar. She found therapy in gardening and home and also at church. Surviving is her loving and devoted husband of 44 years, Jose “Tony”; her cherished daughter, Rachel (Rick) Vaughn of Lorain; grandsons, Joseph and Kurt; brothers, Fred Courtright of North Ridgeville; and a sister, Cathy Almon of North Carolina. She was preceded in death by her son, Joseph and daughter, Marla both in 1996; her parents, Fred and Mildred (nee Dickers) Courtright; and sisters, Rita Thompson and Jean Manary. The family will receive friends on Tuesday from 4:00 pm to 8:00 pm at Sacred Heart Chapel, 4301 Pearl Ave, Lorain and on Wednesday from 8:30 am until the time of mass at 9:30 am. Rev. William Thaden, pastor will officiate. Burial will follow in Calvary Cemetery, Lorain. The Dovin Funeral and Cremation Specialists, 2701 Elyria Ave, Lorain handled arrangements.